At The London Office Cleaning Company we adhere to the standards of the British Institute of Cleaning Science – we know a cleaning trick or two! Over the years at The London Office Cleaning Company we have serviced some truly amazing buildings in the City of London and the West End. From the downright fabulous contemporary glass buildings to the not so glamorous 60’s office blocks, we’ve seen it all when it comes to office cleanliness. Whilst many offices rely on their regular cleaning teams, there’s nothing quite like a Deep Clean to leave the office looking, feeling and smelling fresh and clean. If your office is hosting a large event or celebration, don’t forget to factor in a deep clean immediately afterwards, even if it means the cleaners working late at night. The last thing you want is for business operations to be interrupted whilst the cleaning staff are tidying up the next day! Office in a New Build or Having a Refurb? We understand how important it is to minimise any disruption to office working life. If you need a major clean-up after the builders we’re happy to provide a top-to-toe solution, including removal of rubbish and builders’ materials if needed. Remember, a Deep Clean service can be a one-off service or incorporated into your regular cleaning schedule, it’s entirely up to you. 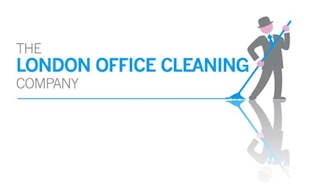 If you have any questions on our Deep Clean service for your London office, please feel free to contact Denis at ds@tlocc.co.uk or call 01707 629 279.